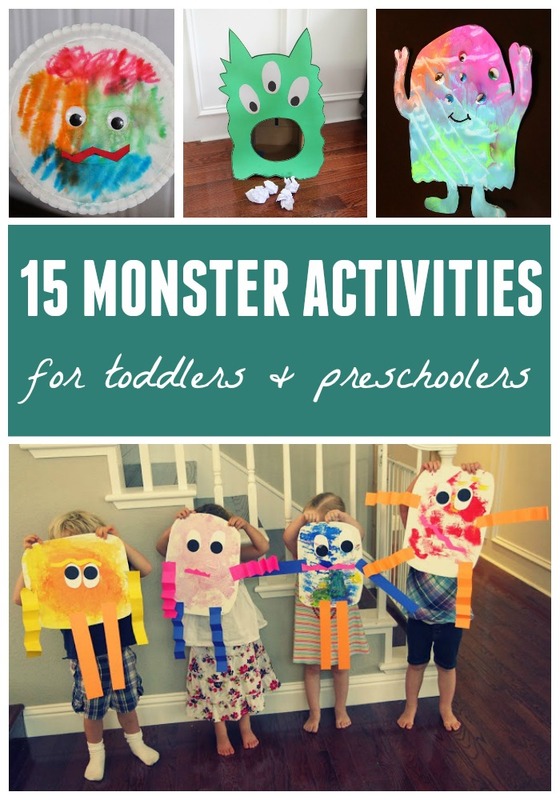 Every day last week we shared a monster craft or activity as part of Monster Week!! This month we've also had a Pumpkin Week and a Spiders & Witches Week! If you can't tell, we love Halloween themed activities! 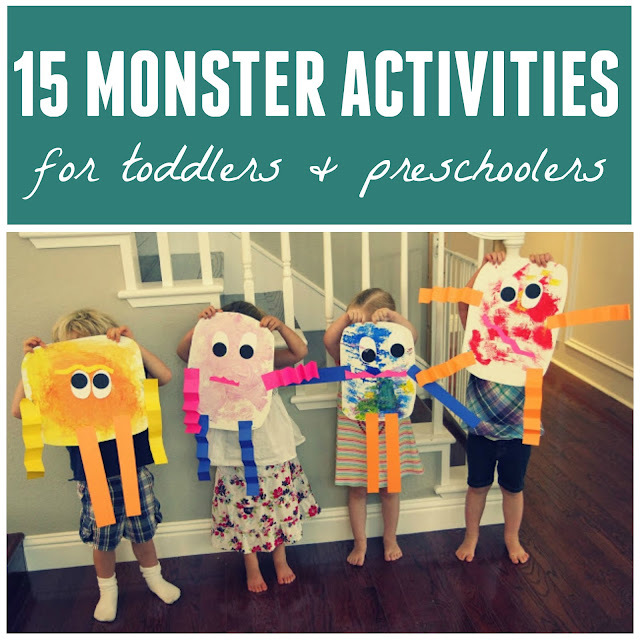 Today we are sharing 15 of our favorite monster crafts and activities for toddlers and preschoolers! Click on the links below to go to the full tutorial and check out each monster craft or activity! You can find more of our favorite Halloween crafts and activities over on our Halloween pinterest board.